Devon, PA. 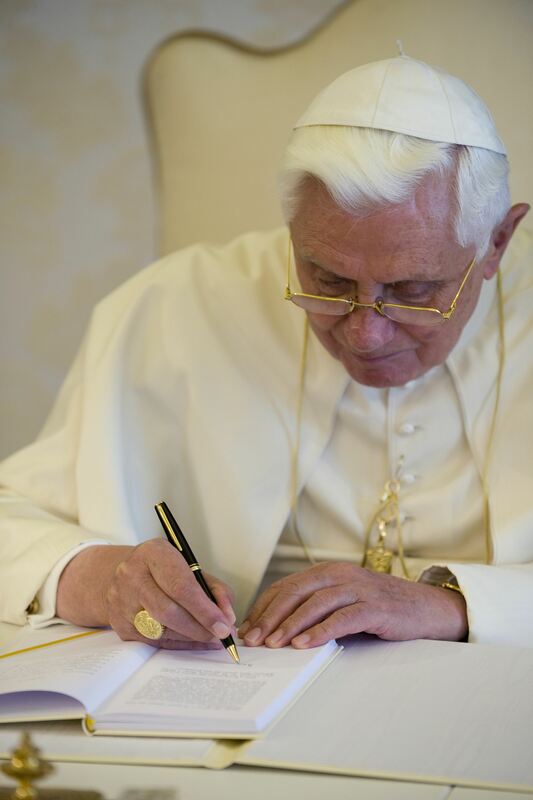 This is the conclusion of my essay on Benedict XVI”s Caritas in Veritate, republished from The Publican of Philadelphia. You can read Part I here. A metaphysical understanding of the relations between persons is . . . a great benefit for their development. In this regard, reason finds inspiration and direction in Christian revelation, according to which the human community does not absorb the individual, annihilating his autonomy, as happens in the various forms of totalitarianism, but rather values him all the more because the relation between individual and community is a relation between one totality and another. The shift from Leo’s emphasis on pre-modern institutions defensible through natural law and natural reason alone to a social doctrine focused on the human being whose personhood is informed from beginning to end by his status as Imago Dei does not in itself entail a break between one tradition and another. Leo and Pius would have understood man as having a supernatural destiny much as would the later popes, even though they subscribed to neo-Thomist doctrines of “pure nature” that allowed, as a hypothesis, that the human person lacking the supernatural or infused virtues of faith, hope, and love might realize a natural destiny or telos other than man’s actual supernatural one: eternal life with God. The reason for this hypothesis (it is worth digressing to explain) was to preserve the gratuity of the gift of faith: if the supernatural gift of faith were strictly necessary for man to fulfill his end, then nature would be frustrated and de-stabilized (insofar as the human creature would be inadequately equipped to fulfill his nature). If this were the case, then natural reason would be incapable of providing a philosophical “preamble” to the knowledge discoverable by faith in revelation, and faith would therefore not seem to “complete” reason but would either swallow it (as it does in theological fideism, e.g. orthodox Protestantism) or be swallowed by it (as it did in the “immanentist” doctrines condemned with theological modernism, e.g. liberal Protestantism). But in recent decades, Catholic theologians have come to argue that this hypothesis is not necessary to secure the integrity of natural reason. Indeed, we must understand reason as being already in some sense graced precisely because every nature is a created nature—one brought into being from nothing by God. The importance of this argument has been to reconcile in one order nature and grace, reason and faith, without conflating these realities.
. . . when what necessity demands has been supplied [to the person or household for subsistence], and one’s standing fairly taken thought for, it becomes a duty to give to the indigent out of what remains over. “Of that which remaineth, give alms.” It is a duty, not of justice (save in extreme cases), but of Christian charity—a duty not enforced by human law. Men have a duty in charity to give out of their wealth to those who have not—but this duty is superadded to justice, beyond it, and not subject to its strictures in positive law. Populorum Progressio in some respects seemed to undermine this ordering when it insisted on the inadequacy of inevitably personal and individual charity given the challenges of the present moment, and the need for systematic programs for social justice. To give of one’s substance—in the form, for instance, of increased taxation—may well be a duty of social justice enforceable by positive law. If justice works “in the company” of charity, the nature of this companionship was summed up in the idea of solidarity and the brotherhood of mankind as the first principle of social justice. because to love is to give, to offer what is “mine” to the other; but it never lacks justice, which prompts us to give the other what is “his”, what is due to him by reason of his being or his acting. I cannot “give” what is mine to the other without first giving him what pertains to him in justice. But, charity does not simply go beyond—it super-saturates and precedes justice as well. Citing Paul, he observes, “justice is inseparable from charity,” by which Benedict intends that charity is present first. And so, again following Paul, the minimal love we might feel for another person is to give him what is his in justice. Thus, justice is simply a function, or a particularly modest expression, of and within love, and which Christians are called to surpass. There is no outside of charity that is not either nothingness or evil. Charity in truth places man before the astonishing experience of gift. Gratuitousness is present in our lives in many different forms, which often go unrecognized because of a purely consumerist and utilitarian view of life. The human being is made for gift, which expresses and makes present his transcendent dimension. Sometimes modern man is wrongly convinced that he is the sole author of himself, his life, and society. This is a presumption that follows from being selfishly closed in upon himself, and it is a consequence—to express it in faith terms—of original sin. If men are frequently tempted to see life as open possibility (unconstrained by natural laws including those of human nature) and so subject to whatever their independent geniuses may devise, Benedict corrects this sinful presumption of self-fashioning with a confession more true and earnest. Existence is chiefly informed not by necessity or natural fixed laws demonstrable to the natural reason any more than it is founded on the laws of justice. Rather, everything comes to us—we come to ourselves—in the mystery of the gratuitous. This deprives neither the laws of nature nor those of justice of their metaphysical foundations; it simply resituates those foundations—or rather the foundation of Being—as pure gift upon which we can make no prior claim of necessity, as if something could be owed to a being who did not exist at all until given the gift of his own created being. Paul VI had worried that the vast structures of international development would become so fixated upon the easing of the physical human estate through rationalistic and technocratic means that the transcendent destiny of the human person would be forgotten, and the cultural and religious institutions necessary for that destiny to be realized would be neglected or excluded. Populorum Progressio, as we have observed, is partly an admonishment against such forgetting, which would result only in an incomplete or half-built humanism. On this scheme, such incomplete “secular” human development may hypothetically be legitimate but inadequate. Modern liberal society generally presumes there are necessities—such as food, housing, and perhaps political participation and other “rights”—that are owed to human life as a matter of justice, but that society does not have to possess a shared conception of what is true and good for it to reach a consensus on these necessities. Justice and rights, ostensibly, float free of questions of truth and goodness. It claims, in other words, that one’s “opinions” on truth and goodness are essentially private “values” and can be relegated to the private realm; what is of immediate public concern are only those “matters of fact” required in justice for the sustaining of human life in conditions of relative equality. Clearly, Paul’s notion of integral humanism was reconcilable with this model: it was as if he simply wished to assert that those questions of truth and goodness—man’s supernatural destiny—must not be pushed to the private sphere but must be included in the public realm of necessity and justice. If the knowledge of faith was thus permitted a place in the public realm, liberal society could be deemed an unmixed good. Here, however, Benedict throws at the feet of the modern world a more troubling premise. Truth is either prior to or identical with charity, and both are prior to justice: we therefore cannot do what is right if we do not know what is true; we cannot act pragmatically in charity without a sense of the Truth that is gift and reveals man to himself in the face of his creator. We cannot be kind without being wise; we cannot be rational without turning, in some sense, first to the Logos revealed by faith. Benedict is “aware of the ways in which charity has been and continues to be misconstrued and emptied of meaning, with the consequent risk of being misinterpreted, detached from ethical living, and, in any event, undervalued.” As the later pages of the encyclical outline, a charity rooted in technocratic systems that neglect the fullness of personhood results in the soul-destroying subsidies of the welfare state, in which a state incapable of love provides the necessities of physical life to masses it leaves to rot spiritually in marginalized housing projects. Charity of this sort does not care how its object lives, only that it has received the necessary quotas to sustain life—it sustains biological cells, but does not nourish persons. Further, because our age lacks almost entirely in a sense of the unconditional dignity of the human person, it often advocates fiercely for arbitrary rights to hedonism and immoral license, while failing to respect “the right to life and to a natural death.” In willfully blinding himself to the true image of the human person, modern man transforms the actions of charity into grave evils and tawdry and frivolous perversions. At its best, charity without truth “degenerates into sentimentality.” That is, it manifests itself as soft expressions of good will utterly lacking in intelligible content or sustained direction. In saying this, Benedict responds to the opposition more charitably than it deserves. It is true that, in mundane circumstances, liberal society often professes a congenial relativism, and it is equally true that the technocrats of modern charity—who discover the redemption of man in contraception, efficient abortion, and maximized “private” freedom with neither self-government nor moral judgment—reject the identity of “Agápe and Lógos”, the “God of the Bible” who is “Charity and Truth, Love and Word.” But this does not mean they lack a conception of truth or that they are in fact mere sentimental relativists. They rather advocate an immanent and materialist absolute. They do not simply greet discussion of mankind’s dignity as the image of God with shrugging, accepting shoulders, but turn on it with all the indignation and contempt of a purse-lipped Belgian minister of parliament. This claim of God giving man life and knowledge in love they view as a tyrannical imposition, as the greatest threat to unaccountable self-authorship imaginable. And, of course, they are correct to feel so threatened. As Blaise Pascal observed, men fear that religion might be true—because the terrible consequence of our existence having been given to us in love is that it actually might matter to someone other and greater than ourselves, and thus, we may in some sense belong to another and not to ourselves. For sexual and investment purposes, modern man demands emancipation from such divine possession even at the cost of knowing the truth about himself. Modern self-ownership does not result in a relativism regarding other peoples’ activities, either. Rather, it has a logos of its own: the quantitative maximization of pleasure protected by the concealment of others’ suffering and relief from the consequences of others’ and our own actions and beliefs. Such a principle of truth—of the immanent and absolute materialist telos of secular man—requires an immense superstructure of state control. One needs the State to prevent the birth of children out of wedlock; the State to feed and educate those children who somehow “get born”; the State psychologically to condition society not to blame the separated parents and to condition the children not to feel unloved and neglected despite having parents who neither love nor care for them. One needs aid programs to feed the hungry abroad so that one need not hesitate to eat all one wants, however gluttonously, at home. One needs not simply public “spaces” free from reminders of moral judgment, of our created identity and transcendent destiny (which may, after all, include eternal life in Hell); one needs a public realm positively scoured of all indication that human actions are of any consequence whatsoever so long as those actions are not undertaken in explicit “hatred” of oppressed racial and sexual minorities. In brief, in order to live for no one besides oneself it takes—certainly not a village, but—a bureaucracy of global scope and power. This is the truth, the logic, to which modern liberal society subscribes. That Popes from Paul VI to Benedict XVI should be so willing to work with the bureaucratic superstructures of this logic for charitable ends is, initially, puzzling. But one may justly remind oneself—as Benedict seeks to remind the world in Caritas in Veritate—that man is a creature brought into being by Truth and Love, who dwells in them, and who, finally, lives for them. He cannot look at his own face, or into the face of another, and long ignore the absolute and all-encompassing call of human personhood and the personhood of God. He discovers there, in that face, that charity and truth precede everything and order everything. We cannot even speak the word “justice” without a mouth that has come to us as a gift of God’s charity; and so, in speaking the truth in love, the Christian reminds every person and all of humanity that love is “a force that has its origins in God” and that each “person finds his good by adherence to God’s plan for him . . . he becomes free.” Benedict’s encyclical, like all Catholic social teaching, is a summons to freedom that calls us not primarily to the revision of social and political forms, but to the discovery of our foundations in the God who gave himself till he was emptied. Caritas in Veritate no. 53. See Pius X, Pascendi Dominici Gregis nos.19-20 and 34. See Populorum Progressio no. 22 and 59 on the centrality of justice, and no. 47 on higher taxation as a sacrifice of the rich for social justice. Caritas in Veritate no. 2. Ibid. nos. 43 and 51. Next articleCan Votes Determine whether Ryan Howard is Better than Albert Pujols? James, excellent essay. You get right to the heart of what Benedict is trying to do, and just how radically Orthodox his teaching is. The social encyclicals often start with the natural virtue of justice, which makes sense when speaking to a secular would, but they often end up (as in Rerum Novarum) merely dividing justice from charity, relegating one to the political order and the other to the “private” sphere. The unintended consequence is to deprive even justice of its public claim. The Totalitarian drift of these last two centuries has done its un-level best to banish charity and “gratuitousness” to the Gulag in order to replace it with a codified sentiment that substitutes symbols for reality. After all, Totalitarianism is the militant ironclad of life as merely symbols. But it cannot quite claim the victory it desires for the simple reason that it cannot know charity and love in its real sense and so fails to know its enemy enough to beat it. The forces at work are mechanistic and deterministic and simply cannot apprehend the organic quality of charity and love. It can only imitate them and this only poorly. Love is the brightest and sturdiest star in the gloaming and the Pope’s declaration of Gratuitousness in this encyclical is a vigorous challenge to the deflation of spirit resulting from our continuing dance with totalitarian forms. It demands that we treat this abiding spirit not as a sentiment…a codified response able to be dispensed in triplicate but as the the very ground of this specie’s most fundamental and defining spirit. All else falls away in the face of such an enormity. Even crude and evasive pagans like me stand agog in the face of the starkly beautiful clarity of such inescapable wisdom. This, no doubt, is one of the reasons the message is going so profoundly ignored in favor of the more sordid fascinations of our Totalitarian Symbols Bazaar. As the architects of modernity build further and further away from the foundation of the triune God, it is both needed and refreshing to see Benedict XVI’s grounding of humanity and all of life in the trinitarian personal reality of the God who is Charity. I thought I understood Benedict’s encyclical – but this excellent essay has revealed depths that were not apparent to me before. Thank you for sharing this with us here. This deserves several readings. I am with DW Sabin – starkly beautiful clarity. Yes – one wishes that more would attend to this wisdom – but not likely.